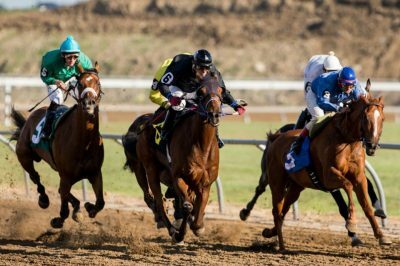 A campaign committee wants to propose a constitutional amendment before the 2020 ballot that would legalize casino gambling at the horse tracks in Nebraska. Gambling proponents claim Nebraska is currently missing out millions of gambling dollars to neighboring states where there are commercial casinos. 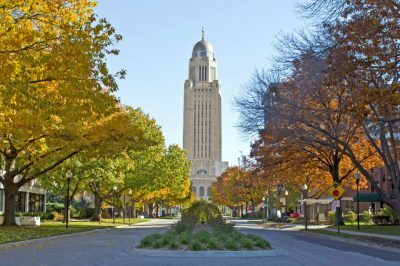 The petition for authorizing casino gambling in the state has been filed with the office of the Secretary of State’s, the campaign committee Keep the Money in Nebraska announced on Thursday. The committee was set up by two organizations, one of which is Ho-Chunk Inc., the economic development arm of the Winnebago Tribe, which owns the Atokad track in South Sioux City. It is in partnership with Nebraska Horsemen’s Nebraska Benevolent Protection Association, which represents Thoroughbred owners and trainers. Organizers hope to collect a sufficient number of signatures and to put forward the constitutional amendment before the general election in 2020. Casino gambling at state-licensed horse racing tracks would bring in around $50 million in new tax revenue, which could be used for funding K-12 public education and property tax relief, Ho-Chunk Inc. President and CEO Lance Morgan said on Thursday. The revenue from gambling taxes would also provide better funding for the Nebraska Gamblers Assistance Fund, he added. In August 2018, Nebraska Horsemen and its association announced that they had entered an agreement with Ho-Chunk with the purpose to sponsor and organize a statewide ballot initiative petition. Nebraska gamblers spend more than $500 a year at casinos in neighboring states, the organization said in a statement. Currently, commercial casinos are allowed in several states nearby – Iowa, Colorado, Kansas, South Dakota, and Missouri. Horse racing and the betting on this sport have seen a steady decline for many years, especially after the introduction of electronic gaming machines and Native American casinos in many states. Many towns and states have added casino games to their horse racing tracks in the past decade in order to maintain their revenue and keep them afloat. The sector in Nebraska is in the same condition, reporting total revenue of $67.9 million in 2017, the lowest since the 1980s when simulcast wagering was legalized in the state. Many experts believe that the expanded gambling may revive the race tracks across Nebraska but this would require regulatory reforms. If the petition by Keep the Money in Nebraska goes to the 2020 November statewide election, voters will be able to decide whether to legalize casino-style gambling at state-licensed race tracks. But this is not the first effort for expanding gambling in the state. The two organizations that are behind the current initiative attempted a similar move but failed. In 2016, their initiative under the same name presented 120,000 signatures but could not make to elections because 42,000 signatures were found to be invalid. This time, organizers hope that they will be able to put the issue on the ballot – they are working with a different signature collection group.